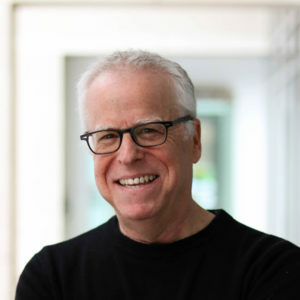 Author, journalist, researcher and media critic, Tom Rosenstiel is one of the nation’s most recognized thinkers on the future of media. Before joining the American Press Institute in January 2013, he was founder and for 16 years director of the Project for Excellence in Journalism, one of the five original projects of the Pew Research Center in Washington, D.C., and co-founder and vice chair of the Committee of Concerned Journalists. He is also a non-resident senior fellow at the Brookings Institution. He is also a novelist. His newest, THE GOOD LIE, from Ecco Harper Collins, was published in February 2019, a political thriller. His debut, SHINING CITY, about Supreme Court nomination battle, was an NPR Book of the Year published in February 2017. His third, Oppo, will be published in late 2019. He is the author of seven non-fiction books, including The Elements of Journalism: What News People Should Know and the Public Should Expect, which has been translated into more than 25 languages and is taught in journalism schools worldwide and won the Goldsmith Book Award from Harvard. He and Kovach have also written two other books together, including, Blur: How to Know What’s True in the Age of Information Overload. The New Ethics of Journalism: Principles for the 21st Century, was co-edited with Kelly McBride of the Poynter Institute in 2013. His books and research at PEJ and API have generated more than 60,000 academic citations. He worked as media writer for the Los Angeles Times for a decade, chief congressional correspondent for Newsweek, press critic for MSNBC, business editor of the Peninsula Times Tribune, a reporter for Jack Anderson’s Washington Merry Go ‘Round column. Among other awards: four Sigma Delta Chi Awards for Journalism Research from SPJ and four Penn State awards for media criticism; Fellow of the Society of Professional Journalists; the University of Missouri Journalism Honor Medal for Distinguished Service in Journalism; University of Texas Dewitt Carter Reddick Award for Outstanding Professional Achievement in the Field of Communications, and the Columbia Journalism School Distinguished Alumni Award. Tom will chair the panel “Can media really rebuild trust with audiences” on Friday, April 12, 2019 at 9:30 a.m.